Aside from this narrative deposit in ancient Greek literature, pictorial representations of gods, heroes, and mythic episodes featured prominently in ancient vase-paintings and the decoration of votive gifts and many other artifacts. 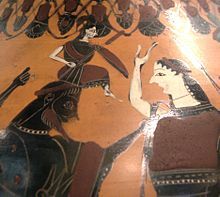 Geometric designs on pottery of the eighth century BC depict scenes from the Trojan cycle as well as the adventures of Heracles. In the succeeding Archaic, Classical, and Hellenistic periods, Homeric and various other mythological scenes appear, supplementing the existing literary evidence. Greek mythology has had an extensive influence on the culture, arts, and literature of Western civilization and remains part of Western heritage and language. Poets and artists from ancient times to the present have derived inspiration from Greek mythology and have discovered contemporary significance and relevance in the themes. Greek mythology is known today primarily from Greek literature and representations on visual media dating from the Geometric period from c. 900 BC to c. 800 BC onward. In fact, literary and archaeological sources integrate, sometimes mutually supportive and sometimes in conflict; however, in many cases, the existence of this corpus of data is a strong indication that many elements of Greek mythology have strong factual and historical roots. Mythical narration plays an important role in nearly every genre of Greek literature. Nevertheless, the only general mythographical handbook to survive from Greek antiquity was the Library of Pseudo-Apollodorus. This work attempts to reconcile the contradictory tales of the poets and provides a grand summary of traditional Greek mythology and heroic legends. Apollodorus of Athens lived from c. 180 BC to c. 125 BC and wrote on many of these topics. His writings may have formed the basis for the collection; however the "Library" discusses events that occurred long after his death, hence the name Pseudo-Apollodorus. Lyrical poets often took their subjects from myth, but their treatment became gradually less narrative and more allusive. Greek lyric poets, including Pindar, Bacchylides and Simonides, and bucolic poets such as Theocritus and Bion, relate individual mythological incidents. 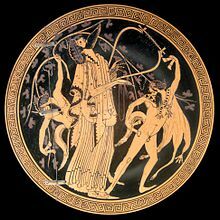 Additionally, myth was central to classical Athenian drama. The tragic playwrights Aeschylus, Sophocles, and Euripides took most of their plots from myths of the age of heroes and the Trojan War. Many of the great tragic stories (e.g. Agamemnon and his children, Oedipus, Jason, Medea, etc.) took on their classic form in these tragedies. The comic playwright Aristophanes also used myths, in The Birds and The Frogs. Geometric designs on pottery of the eighth century BC depict scenes from the Trojan cycle, as well as the adventures of Heracles. These visual representations of myths are important for two reasons. 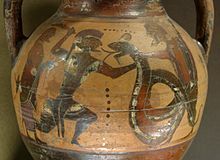 Firstly, many Greek myths are attested on vases earlier than in literary sources: of the twelve labors of Heracles, for example, only the Cerberus adventure occurs in a contemporary literary text. Secondly, visual sources sometimes represent myths or mythical scenes that are not attested in any extant literary source. In some cases, the first known representation of a myth in geometric art predates its first known representation in late archaic poetry, by several centuries. In the Archaic (c. 750 – c. 500 BC), Classical (c. 480–323 BC), and Hellenistic (323–146 BC) periods, Homeric and various other mythological scenes appear, supplementing the existing literary evidence. After the middle of the Archaic period, myths about relationships between male gods and male heroes became more and more frequent, indicating the parallel development of pedagogic pederasty (eros paidikos, παιδικὸς ἔρως), thought to have been introduced around 630 BC. 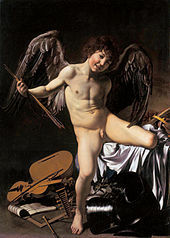 By the end of the fifth century BC, poets had assigned at least one eromenos, an adolescent boy who was their sexual companion, to every important god except Ares and to many legendary figures. Previously existing myths, such as those of Achilles and Patroclus, also then were cast in a pederastic light. Alexandrian poets at first, then more generally literary mythographers in the early Roman Empire, often re-adapted stories of Greek mythological characters in this fashion. The age of heroes (heroic age), where divine activity was more limited. The last and greatest of the heroic legends is the story of the Trojan War and after (which is regarded by some researchers as a separate, fourth period). 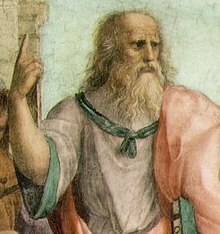 While the age of gods often has been of more interest to contemporary students of myth, the Greek authors of the archaic and classical eras had a clear preference for the age of heroes, establishing a chronology and record of human accomplishments after the questions of how the world came into being were explained. For example, the heroic Iliad and Odyssey dwarfed the divine-focused Theogony and Homeric Hymns in both size and popularity. Under the influence of Homer the "hero cult" leads to a restructuring in spiritual life, expressed in the separation of the realm of the gods from the realm of the dead (heroes), of the Chthonic from the Olympian. In the Works and Days, Hesiod makes use of a scheme of Four Ages of Man (or Races): Golden, Silver, Bronze, and Iron. These races or ages are separate creations of the gods, the Golden Age belonging to the reign of Cronos, the subsequent races to the creation of Zeus. The presence of evil was explained by the myth of Pandora, when all of the best of human capabilities, save hope, had been spilled out of her overturned jar. In Metamorphoses, Ovid follows Hesiod's concept of the four ages. 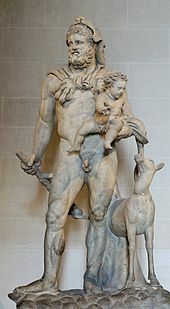 Zeus was plagued by the same concern, and after a prophecy that the offspring of his first wife, Metis, would give birth to a god "greater than he", Zeus swallowed her. She was already pregnant with Athena, however, and she burst forth from his head—fully-grown and dressed for war. 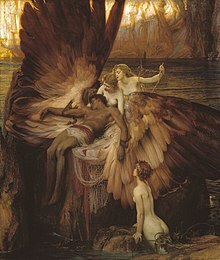 Zeus, disguised as a swan, seduces Leda, the Queen of Sparta. A sixteenth-century copy of the lost original by Michelangelo. The gods of Greek mythology are described as having essentially corporeal but ideal bodies. According to Walter Burkert, the defining characteristic of Greek anthropomorphism is that "the Greek gods are persons, not abstractions, ideas or concepts". Regardless of their underlying forms, the Ancient Greek gods have many fantastic abilities; most significantly, the gods are not affected by disease, and can be wounded only under highly unusual circumstances. The Greeks considered immortality as the distinctive characteristic of their gods; this immortality, as well as unfading youth, was insured by the constant use of nectar and ambrosia, by which the divine blood was renewed in their veins. After the rise of the hero cult, gods and heroes constitute the sacral sphere and are invoked together in oaths and prayers which are addressed to them. Burkert notes that "the roster of heroes, again in contrast to the gods, is never given fixed and final form. Great gods are no longer born, but new heroes can always be raised up from the army of the dead." Another important difference between the hero cult and the cult of gods is that the hero becomes the centre of local group identity. The monumental events of Heracles are regarded as the dawn of the age of heroes. To the Heroic Age are also ascribed three great events: the Argonautic expedition, the Theban Cycle, and the Trojan War. While his tragic end provided much material for tragedy—Heracles is regarded by Thalia Papadopoulou as "a play of great significance in examination of other Euripidean dramas". In art and literature Heracles was represented as an enormously strong man of moderate height; his characteristic weapon was the bow but frequently also the club. Vase paintings demonstrate the unparalleled popularity of Heracles, his fight with the lion being depicted many hundreds of times. Heracles attained the highest social prestige through his appointment as official ancestor of the Dorian kings. This probably served as a legitimation for the Dorian migrations into the Peloponnese. Hyllus, the eponymous hero of one Dorian phyle, became the son of Heracles and one of the Heracleidae or Heraclids (the numerous descendants of Heracles, especially the descendants of Hyllus—other Heracleidae included Macaria, Lamos, Manto, Bianor, Tlepolemus, and Telephus). These Heraclids conquered the Peloponnesian kingdoms of Mycenae, Sparta and Argos, claiming, according to legend, a right to rule them through their ancestor. Their rise to dominance is frequently called the "Dorian invasion". The Lydian and later the Macedonian kings, as rulers of the same rank, also became Heracleidae. 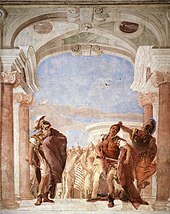 The Theban Cycle deals with events associated especially with Cadmus, the city's founder, and later with the doings of Laius and Oedipus at Thebes; a series of stories that lead to the eventual pillage of that city at the hands of the Seven Against Thebes and Epigoni. (It is not known whether the Seven Against Thebes figured in early epic.) 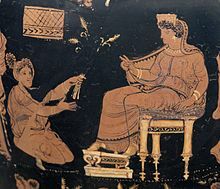 As far as Oedipus is concerned, early epic accounts seem to have him continuing to rule at Thebes after the revelation that Iokaste was his mother, and subsequently marrying a second wife who becomes the mother of his children—markedly different from the tale known to us through tragedy (e.g. Sophocles' Oedipus Rex) and later mythological accounts. The Trojan War cycle, a collection of epic poems, starts with the events leading up to the war: Eris and the golden apple of Kallisti, the Judgement of Paris, the abduction of Helen, the sacrifice of Iphigenia at Aulis. 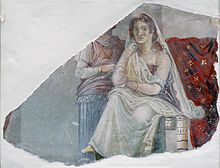 To recover Helen, the Greeks launched a great expedition under the overall command of Menelaus's brother, Agamemnon, king of Argos or Mycenae, but the Trojans refused to return Helen. The Iliad, which is set in the tenth year of the war, tells of the quarrel between Agamemnon and Achilles, who was the finest Greek warrior, and the consequent deaths in battle of Achilles' beloved comrade Patroclus and Priam's eldest son, Hector. After Hector's death the Trojans were joined by two exotic allies, Penthesilea, queen of the Amazons, and Memnon, king of the Ethiopians and son of the dawn-goddess Eos. Achilles killed both of these, but Paris then managed to kill Achilles with an arrow in the heel. 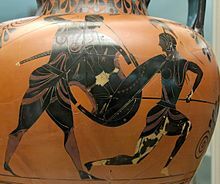 Achilles' heel was the only part of his body which was not invulnerable to damage by human weaponry. Before they could take Troy, the Greeks had to steal from the citadel the wooden image of Pallas Athena (the Palladium). Finally, with Athena's help, they built the Trojan Horse. Despite the warnings of Priam's daughter Cassandra, the Trojans were persuaded by Sinon, a Greek who feigned desertion, to take the horse inside the walls of Troy as an offering to Athena; the priest Laocoon, who tried to have the horse destroyed, was killed by sea-serpents. At night the Greek fleet returned, and the Greeks from the horse opened the gates of Troy. In the total sack that followed, Priam and his remaining sons were slaughtered; the Trojan women passed into slavery in various cities of Greece. The adventurous homeward voyages of the Greek leaders (including the wanderings of Odysseus and Aeneas (the Aeneid), and the murder of Agamemnon) were told in two epics, the Returns (the lost Nostoi) and Homer's Odyssey. The Trojan cycle also includes the adventures of the children of the Trojan generation (e.g., Orestes and Telemachus). The Trojan War provided a variety of themes and became a main source of inspiration for Ancient Greek artists (e.g. metopes on the Parthenon depicting the sack of Troy); this artistic preference for themes deriving from the Trojan Cycle indicates its importance to the Ancient Greek civilization. The same mythological cycle also inspired a series of posterior European literary writings. For instance, Trojan Medieval European writers, unacquainted with Homer at first hand, found in the Troy legend a rich source of heroic and romantic storytelling and a convenient framework into which to fit their own courtly and chivalric ideals. Twelfth-century authors, such as Benoît de Sainte-Maure (Roman de Troie [Romance of Troy, 1154–60]) and Joseph of Exeter (De Bello Troiano [On the Trojan War, 1183]) describe the war while rewriting the standard version they found in Dictys and Dares. They thus follow Horace's advice and Virgil's example: they rewrite a poem of Troy instead of telling something completely new. Mythology was at the heart of everyday life in Ancient Greece. Greeks regarded mythology as a part of their history. They used myth to explain natural phenomena, cultural variations, traditional enmities and friendships. It was a source of pride to be able to trace the descent of one's leaders from a mythological hero or a god. Few ever doubted that there was truth behind the account of the Trojan War in the Iliad and Odyssey. According to Victor Davis Hanson, a military historian, columnist, political essayist and former classics professor, and John Heath, a classics professor, the profound knowledge of the Homeric epos was deemed by the Greeks the basis of their acculturation. Homer was the "education of Greece" (Ἑλλάδος παίδευσις), and his poetry "the Book". Rationalizing hermeneutics of myth became even more popular under the Roman Empire, thanks to the physicalist theories of Stoic and Epicurean philosophy. Stoics presented explanations of the gods and heroes as physical phenomena, while the Euhemerists rationalized them as historical figures. At the same time, the Stoics and the Neoplatonists promoted the moral significations of the mythological tradition, often based on Greek etymologies. Through his Epicurean message, Lucretius had sought to expel superstitious fears from the minds of his fellow-citizens. Livy, too, is skeptical about the mythological tradition and claims that he does not intend to pass judgement on such legends (fabulae). The challenge for Romans with a strong and apologetic sense of religious tradition was to defend that tradition while conceding that it was often a breeding-ground for superstition. 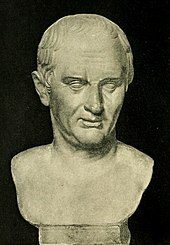 The antiquarian Varro, who regarded religion as a human institution with great importance for the preservation of good in society, devoted rigorous study to the origins of religious cults. In his Antiquitates Rerum Divinarum (which has not survived, but Augustine's City of God indicates its general approach) Varro argues that whereas the superstitious man fears the gods, the truly religious person venerates them as parents. According to Varro, there have been three accounts of deities in the Roman society: the mythical account created by poets for theatre and entertainment, the civil account used by people for veneration as well as by the city, and the natural account created by the philosophers. The best state is, adds Varro, where the civil theology combines the poetic mythical account with the philosopher's. In Ancient Roman times, a new Roman mythology was born through syncretization of numerous Greek and other foreign gods. This occurred because the Romans had little mythology of their own, and inheritance of the Greek mythological tradition caused the major Roman gods to adopt characteristics of their Greek equivalents. The gods Zeus and Jupiter are an example of this mythological overlap. In addition to the combination of the two mythological traditions, the association of the Romans with eastern religions led to further syncretizations. For instance, the cult of Sun was introduced in Rome after Aurelian's successful campaigns in Syria. The Asiatic divinities Mithras (that is to say, the Sun) and Ba'al were combined with Apollo and Helios into one Sol Invictus, with conglomerated rites and compound attributes. Apollo might be increasingly identified in religion with Helios or even Dionysus, but texts retelling his myths seldom reflected such developments. The traditional literary mythology was increasingly dissociated from actual religious practice. The worship of Sol as special protector of the emperors and of the empire remained the chief imperial religion until it was replaced by Christianity. 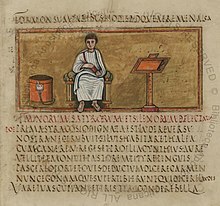 The surviving 2nd-century collection of Orphic Hymns (second century AD) and the Saturnalia of Macrobius Ambrosius Theodosius (fifth century) are influenced by the theories of rationalism and the syncretizing trends as well. The Orphic Hymns are a set of pre-classical poetic compositions, attributed to Orpheus, himself the subject of a renowned myth. In reality, these poems were probably composed by several different poets, and contain a rich set of clues about prehistoric European mythology. The stated purpose of the Saturnalia is to transmit the Hellenic culture Macrobius has derived from his reading, even though much of his treatment of gods is colored by Egyptian and North African mythology and theology (which also affect the interpretation of Virgil). In Saturnalia reappear mythographical comments influenced by the Euhemerists, the Stoics and the Neoplatonists. Max Müller attempted to understand an Indo-European religious form by tracing it back to its Indo-European (or, in Müller's time, "Aryan") "original" manifestation. 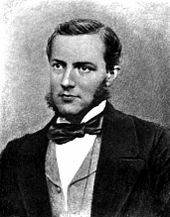 In 1891, he claimed that "the most important discovery which has been made during the nineteenth century with respect to the ancient history of mankind ... was this sample equation: Sanskrit Dyaus-pitar = Greek Zeus = Latin Jupiter = Old Norse Tyr". The question of Greek mythology's place in Indo-European studies has generated much scholarship since Müller's time. For example, philologist Georges Dumézil draws a comparison between the Greek Uranus and the Sanskrit Varuna, although there is no hint that he believes them to be originally connected. In other cases, close parallels in character and function suggest a common heritage, yet lack of linguistic evidence makes it difficult to prove, as in the case of the Greek Moirai and the Norns of Norse mythology. It appears that the Mycenaean religion was the mother of the Greek religion and its pantheon already included many divinities that can be found in classical Greece. However, Greek mythology is generally seen as having heavy influence of Pre-Greek and Near Eastern cultures, and as such contains few important elements for the reconstruction of the Proto-Indo-European religion. Consequently, Greek mythology received minimal scholarly attention in the context of Indo-European comparative mythology until the mid 2000s. Archaeology and mythography have revealed influence from Asia Minor and the Near East. Adonis seems to be the Greek counterpart—more clearly in cult than in myth—of a Near Eastern "dying god". Cybele is rooted in Anatolian culture while much of Aphrodite's iconography may spring from Semitic goddesses. There are also possible parallels between the earliest divine generations (Chaos and its children) and Tiamat in the Enuma Elish. According to Meyer Reinhold, "near Eastern theogonic concepts, involving divine succession through violence and generational conflicts for power, found their way ... into Greek mythology". In addition to Indo-European and Near Eastern origins, some scholars have speculated on the debts of Greek mythology to the indigenous pre-Greek societies: Crete, Mycenae, Pylos, Thebes and Orchomenus. Historians of religion were fascinated by a number of apparently ancient configurations of myth connected with Crete (the god as bull, Zeus and Europa, Pasiphaë who yields to the bull and gives birth to the Minotaur, etc.). Martin P. Nilsson asserts, based on the representations and general function of the gods, that a lot of Minoan gods and religious conceptions were fused in the Mycenaean religion. and concluded that all great classical Greek myths were tied to Mycenaean centres and anchored in prehistoric times. Nevertheless, according to Burkert, the iconography of the Cretan Palace Period has provided almost no confirmation for these theories. Botticelli's The Birth of Venus (c. 1485–1486, oil on canvas, Uffizi, Florence)—a revived Venus Pudica for a new view of pagan Antiquity—is often said to epitomize for modern viewers the spirit of the Renaissance. In Northern Europe, Greek mythology never took the same hold of the visual arts, but its effect was very obvious on literature. The English imagination was fired by Greek mythology starting with Chaucer and John Milton and continuing through Shakespeare to Robert Bridges in the 20th century. Racine in France and Goethe in Germany revived Greek drama, reworking the ancient myths. Although during the Enlightenment of the 18th century reaction against Greek myth spread throughout Europe, the myths continued to provide an important source of raw material for dramatists, including those who wrote the libretti for many of Handel's and Mozart's operas. By the end of the 18th century, Romanticism initiated a surge of enthusiasm for all things Greek, including Greek mythology. In Britain, new translations of Greek tragedies and Homer inspired contemporary poets (such as Alfred Lord Tennyson, Keats, Byron and Shelley) and painters (such as Lord Leighton and Lawrence Alma-Tadema). Christoph Gluck, Richard Strauss, Jacques Offenbach and many others set Greek mythological themes to music. American authors of the 19th century, such as Thomas Bulfinch and Nathaniel Hawthorne, held that the study of the classical myths was essential to the understanding of English and American literature. In more recent times, classical themes have been reinterpreted by dramatists Jean Anouilh, Jean Cocteau, and Jean Giraudoux in France, Eugene O'Neill in America, and T. S. Eliot in Britain and by novelists such as James Joyce and André Gide. ^ Cartwirght, Mark. "Greek Mythology". Ancient History Encyclopedia. Retrieved 26 March 2018. ^ a b c d e f g h i j "Greek Mythology". Encyclopædia Britannica. 2002. ^ Anthony Alms. 2007. Theology, Trauerspiel, and the Conceptual Foundations of Early German Opera. City University of New York. 413 pages. ^ Cuthbertson, Political Myth and Epic (Michigan State university Press) 1975 has selected a wider range of epic, from Gilgamesh to Voltaire's Henriade, but his central theme, that myths encode mechanisms of cultural dynamics, structuring a community by creating a moral consensus, is a familiar mainstream view that applies to Greek myth. ^ Guirand, Felix (1987) . "Greek Mythology". In Guirand, Felix. New Larousse Encyclopedia of Mythology. Trans. Richard Aldington and Delano Ames. Hamlyn. p. 98. ISBN 978-0-600-02350-0. ^ "Greek Mythology". Encyclopædia Britannica. 2002. ^ "Greek Religion". Encyclopædia Britannica. 2002. ^ a b "Heracles". Encyclopædia Britannica. 2002. ^ a b "Troy". Encyclopædia Britannica. 2002. ^ a b "Trojan War". Encyclopaedia The Helios. 1952. ^ a b Raymond Barfield (2011). The Ancient Quarrel Between Philosophy and Poetry. Cambridge University Press. pp. 75–76. ISBN 978-1-139-49709-1. ^ a b "myth". Encyclopædia Britannica. 2002. Hesiod (1914). Theogony . Translated by Hugh Gerard Evelyn-White – via Wikisource. Homeric Hymn to Aphrodite. Translated into English[permanent dead link] by Gregory Nagy. Homeric Hymn to Hermes. See the English translation in the Medieval and Classical Literature Library. Ackerman, Robert (1991). "Introduction". Prolegomena to the Study of Greek Religion by Jane Ellen Harrison (Reprint ed.). Princeton University Press. ISBN 978-0-691-01514-9. Albala Ken G; Johnson Claudia Durst; Johnson Vernon E. (2000). "Origin of Mythology". Understanding the Odyssey. Courier Dover Publications. ISBN 978-0-486-41107-1. Algra, Keimpe (1999). "The Beginnings of Cosmology". The Cambridge Companion to Early Greek Philosophy. Cambridge University Press. ISBN 978-0-521-44667-9. Allen, Douglas (1978). "Early Methological Approaches". Structure & Creativity in Religion: Hermeneutics in Mircea Eliade's Phenomenology and New Directions. Walter de Gruyter. ISBN 978-90-279-7594-2. Betegh, Gábor (2004). "The Interpretation of the poet". The Derveni Papyrus. Cambridge University Press. ISBN 978-0-521-80108-9. Bonnefoy, Yves (1992). "Kinship Structures in Greek Heroic Dynasty". Greek and Egyptian Mythologies. University of Chicago Press. ISBN 978-0-226-06454-3. Bulfinch, Thomas (2003). "Greek Mythology and Homer". Bulfinch's Greek and Roman Mythology. Greenwood Press. ISBN 978-0-313-30881-9. Burkert, Walter (2002). "Prehistory and the Minoan Mycenaen Era". Greek Religion: Archaic and Classical (translated by John Raffan). Blackwell Publishing. ISBN 978-0-631-15624-6. Burn, Lucilla (1990). Greek Myths. University of Texas Press. ISBN 978-0-292-72748-9. Bushnell, Rebecca W. (2005). "Helicocentric Stoicism in the Saturnalia: The Egyptian Apollo". Medieval A Companion to Tragedy. Blackwell Publishing. ISBN 978-1-4051-0735-8. Chance, Jane (1994). "Helicocentric Stoicism in the Saturnalia: The Egyptian Apollo". Medieval Mythography. University Press of Florida. ISBN 978-0-8130-1256-8. Caldwell, Richard (1990). "The Psychoanalytic Interpretation of Greek Myth". Approaches to Greek Myth. Johns Hopkins University Press. ISBN 978-0-8018-3864-4. Calimach, Andrew (2002). "The Cultural Background". Lovers' Legends: The Gay Greek Myths. Haiduk Press. ISBN 978-0-9714686-0-3. Cartledge, Paul A. (2002). "Inventing the Past: History v. Myth". The Greeks. Oxford University Press. ISBN 978-0-19-280388-7. Cartledge, Paul A. (2004). The Spartans (translated in Greek). Livanis. ISBN 978-960-14-0843-9. Cashford, Jules (2003). "Introduction". The Homeric Hymns. Penguin Classics. ISBN 978-0-14-043782-9. Dowden, Ken (1992). "Myth and Mythology". The Uses of Greek Mythology. Routledge (UK). ISBN 978-0-415-06135-3. Dunlop, John (1842). "Romances of Chivalry". The History of Fiction. Carey and Hart. ISBN 978-1-149-40338-9. Edmunds, Lowell (1980). "Comparative Approaches". Approaches to Greek Myth. Johns Hopkins University Press. ISBN 978-0-8018-3864-4. Foley, John Miles (1999). "Homeric and South Slavic Epic". Homer's Traditional Art. Penn State Press. ISBN 978-0-271-01870-6. Gale, Monica R. (1994). "The Cultural Background". Myth and Poetry in Lucretius. Cambridge University Press. ISBN 978-0-521-45135-2. Griffin, Jasper (1986). "Greek Myth and Hesiod". The Oxford Illustrated History of Greece and the Hellenistic World edited by John Boardman, Jasper Griffin and Oswyn Murray. Oxford University Press. ISBN 978-0-19-285438-4. Grimal, Pierre (1986). "Argonauts". The Dictionary of Classical Mythology. Blackwell Publishing. ISBN 978-0-631-20102-1. Hacklin, Joseph (1994). "The Mythology of Persia". Asiatic Mythology. Asian Educational Services. ISBN 978-81-206-0920-4. Hanson, Victor Davis; Heath, John (1999). Who Killed Homer (translated in Greek by Rena Karakatsani). Kakos. ISBN 978-960-352-545-5. Hard, Robin (2003). "Sources of Greek Myth". The Routledge Handbook of Greek Mythology: based on H. J. Rose's "A Handbook of Greek mythology". Routledge (UK). ISBN 978-0-415-18636-0. Jung Carl Gustav, Kerényi Karl (2001). "Prolegomena". Essays on a Science of Mythology (Reprint ed.). Princeton University Press. ISBN 978-0-691-01756-3. Jung, C.J. (2002). "Troy in Latin and French Joseph of Exeter's "Ylias" and Benoît de Sainte-Maure's "Roman de Troie"". Science of Mythology. Routledge (UK). ISBN 978-0-415-26742-7. Kelly, Douglas (2003). "Sources of Greek Myth". An Outline of Greek and Roman Mythology. Douglas Kelly. ISBN 978-0-415-18636-0. Kirk, Geoffrey Stephen (1973). "The Thematic Simplicity of the Myths". Myth: Its Meaning and Functions in Ancient and Other Cultures. University of California Press. ISBN 978-0-520-02389-5. Kirk, Geoffrey Stephen (1974). The Nature of Greek Myths. Harmondsworth: Penguin. ISBN 978-0-14-021783-4. Klatt J. Mary, Brazouski Antoinette (1994). "Preface". Children's Books on Ancient Greek and Roman Mythology: An Annotated Bibliography. Greenwood Press. ISBN 978-0-313-28973-6. Miles, Geoffrey (1999). "The Myth-kitty". Classical Mythology in English Literature: A Critical Anthology. University of Illinois Press. ISBN 978-0-415-14754-5. Morris, Ian (2000). Archaeology As Cultural History. Blackwell Publishing. ISBN 978-0-631-19602-0. Nagy, Gregory (1992). "The Hellenization of the Indo-European Poetics". Greek Mythology and Poetics. Cornell University Press. ISBN 978-0-8014-8048-5. North John A.; Beard Mary; Price Simon R.F. (1998). "The Religions of Imperial Rome". Classical Mythology in English Literature: A Critical Anthology. Cambridge University Press. ISBN 978-0-521-31682-8. Papadopoulou, Thalia (2005). "Introduction". 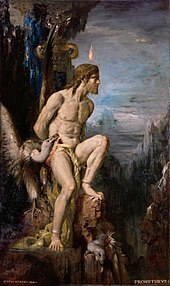 Heracles and Euripidean Tragedy. Cambridge University Press. ISBN 978-0-521-85126-8. Percy, William Armostrong III (1999). "The Institutionalization of Pederasty". Pederasty and Pedagogy in Archaic Greece. Routledge (UK). ISBN 978-0-252-06740-2. Poleman, Horace I. (March 1943). "Review of "Ouranos-Varuna. Etude de mythologie comparee indo-europeenne by Georges Dumezil"". "Journal of the American Oriental Society". 63 (1): 78–79. JSTOR 594160. Reinhold, Meyer (October 20, 1970). "The Generation Gap in Antiquity". "Proceedings of the American Philosophical Society". 114 (5): 347–65. JSTOR 985800. Rose, Herbert Jennings (1991). A Handbook of Greek Mythology. Routledge (UK). ISBN 978-0-415-04601-5. Segal, Robert A. (1991). "A Greek Eternal Child". Myth and the Polis edited by Dora Carlisky Pozzi, John Moore Wickersham. Cornell University Press. ISBN 978-0-8014-2473-1. Segal, Robert A. (April 4, 1990). "The Romantic Appeal of Joseph Campbell". "Christian Century". Archived from the original on January 7, 2007. Segal, Robert A. (1999). "Jung on Mythology". Theorizing about Myth. Univ of Massachusetts Press. ISBN 978-1-55849-191-5. Trobe, Kala (2001). "Dionysus". Invoke the Gods. Llewellyn Worldwide. ISBN 978-0-7387-0096-0. Walsh, Patrick Gerald (1998). "Liberating Appearance in Mythic Content". The Nature of the Gods. Oxford University Press. ISBN 978-0-19-282511-7. Weaver, John B. (1998). "Introduction". The Plots of Epiphany. Walter de Gruyter. ISBN 978-3-11-018266-8. Winterbourne, Anthony (2004). "Spinning and Weaving Fate". When the Norns Have Spoken. Fairleigh Dickinson University Press. ISBN 978-0-8386-4048-7. Wood, Michael (1998). "The Coming of the Greeks". In Search of the Trojan War. University of California Press. ISBN 978-0-520-21599-3. Gantz, Timothy (1993). Early Greek Myth: A Guide to Literary and Artistic Sources. Johns Hopkins University Press. ISBN 978-0-8018-4410-2. Graves, Robert (1993) . The Greek Myths (Cmb/Rep ed.). Penguin (Non-Classics). ISBN 978-0-14-017199-0. Hamilton, Edith (1998) . Mythology (New ed.). Back Bay Books. ISBN 978-0-316-34151-6. Kerenyi, Karl (1980) . The Gods of the Greeks (Reissue ed.). Thames & Hudson. ISBN 978-0-500-27048-6. Kerenyi, Karl (1978) . The Heroes of the Greeks (Reissue ed.). Thames & Hudson. ISBN 978-0-500-27049-3. Luchte, James (2011). Early Greek Thought: Before the Dawn. Bloomsbury. ISBN 978-0-567-35331-3. Morford M.P.O., Lenardon L.J. (2006). Classical Mythology. Oxford University Press. ISBN 978-0-19-530805-1. Pinsent, John (1972). Greek Mythology. Bantam. ISBN 978-0-448-00848-6. Pinsent, John (1991). Myths and Legends of Ancient Greece. Library of the World's Myths and Legends. Peter Bedrick Books. ISBN 978-0-87226-250-8. Ruck Carl, Staples Blaise Daniel (1994). The World of Classical Myth. Carolina Academic Press. ISBN 978-0-89089-575-7. Veyne, Paul (1988). Did the Greeks Believe in Their Myths? An Essay on Constitutive Imagination. (translated by Paula Wissing). University of Chicago. ISBN 978-0-226-85434-2. This page was last edited on 6 March 2019, at 02:56 (UTC).